The southwest portion of Butler County was opened for settlement with the signing of the Osage Indian treaty in 1870. Within two years, Quakers from North Carolina had settled along the Eight Mile Creek in Richland and Pleasant Townships. Friends families from Indiana moved to Rose Hill a few years later. Meetings for worship were held in the homes of these early settlers, however, few houses could accommodate the meetings and there was no meetinghouse or school at that time. In 1877 Rose Hill Preparative Meeting was set up by Springfield (Hesper) Monthly Meeting. On October 26, 1878, Cottonwood Quarterly Meeting established Rose Hill as a monthly meeting. By 1878, a schoolhouse had been built one mile west of the present church location and was used by Friends as a place for worship. 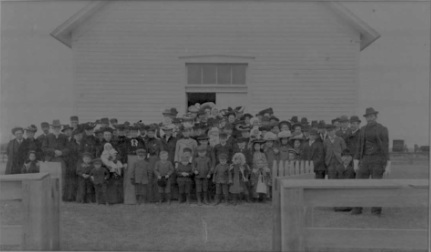 Sunday School was organized in 1880. The Friends were the first religious denomination to erect a meetinghouse for worship in the Rose Hill community. A building committee was appointed on July 26, 1879 to obtain land and build a meetinghouse. In the summer of 1881, meetings for worship were held in the structure although it was not completely finished. The cemetery grounds, one half-mile east of the church, were purchased in 1882. Additional land for a parsonage and new church was deeded to the monthly meeting in 1905. The first parsonage was built in that same year. The original meetinghouse was replaced with the present sanctuary in 1912. This building was enlarged in 1917 with the addition of two rooms onto the east of the sanctuary. An addition with classrooms and a kitchen was dedicated on May 22, 1955. A restroom was installed in 1963 and air conditioning in 1966. A garage at the original parsonage was built in 1958. A new parsonage was constructed in 1969 and a double garage was added to the parsonage in 1990.
classrooms, church office, nursery, restrooms, and library was dedicated. In 2003, the youth pastor's office was redesigned and became the church office and a new office was created for the youth pastor. Other improvements to the church and parking lot were: The sanctuary remodeled in 1993, the church sided in 1995 and the parking lot graveled in 1996. In September 2003, an Exploratory Committee was formed to research present ministries and facility needs, then bring recommendations to the congregation for consideration. In 2004, an architect was hired to draw plans for future expansion. In May of 2012, new playground equipment was installed west of parking lot. In Fall of 2012, the closet north of the secretary's office was enclosed to add more space inside the office. New carpet was also laid in the staff offices and classrooms of the west wing. 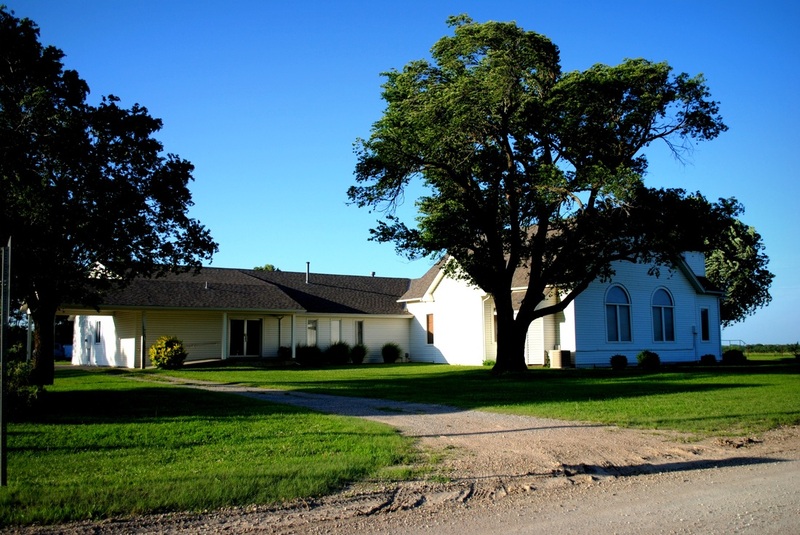 In 2013, an addition was added East of the kitchen and fellowship hall to extend the foyer and add a storage room and office for the youth pastor. In 2014, new carpet squares were placed in the new fellowship hall and hallways. In 2017, an addition for larger family space and a safe room was added onto the parsonage.